Western Australia's sheer geographical distance from the rest of the nation resulted in their belated debut on the interstate football scene; their first match coming twenty-five seasons after the Victorians and South Australians had first faced-off back in 1879. For their inaugural interstate tour the Western Australians wore a black swan, which had been the official logo of the Colony/State since 1870, paired with green and gold hoops. As was the norm at that time the hoops were much thinner than on modern uniforms. The tour proved a huge success, with the green and golds winning four of their five matches; the highlight being a 9-point defeat of South Australia in Adelaide. Virtually all of the States participating in the inaugural carnival wore newly designed uniforms for the occasion. Western Australia were no exception, adopting this all-green jumper. The symbolism of the swan was retained but the iconic black swan was replaced by the previously unknown golden variety! This was the first WA State uniform to feature 3/4-length knicks instead of the traditional pants and belt combination of yesteryear. 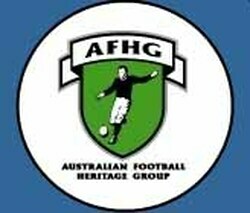 A feature of the second Australian football championships was the use of numbers by all teams. The Western Australians added undersized white numbers to the back of their jumpers. 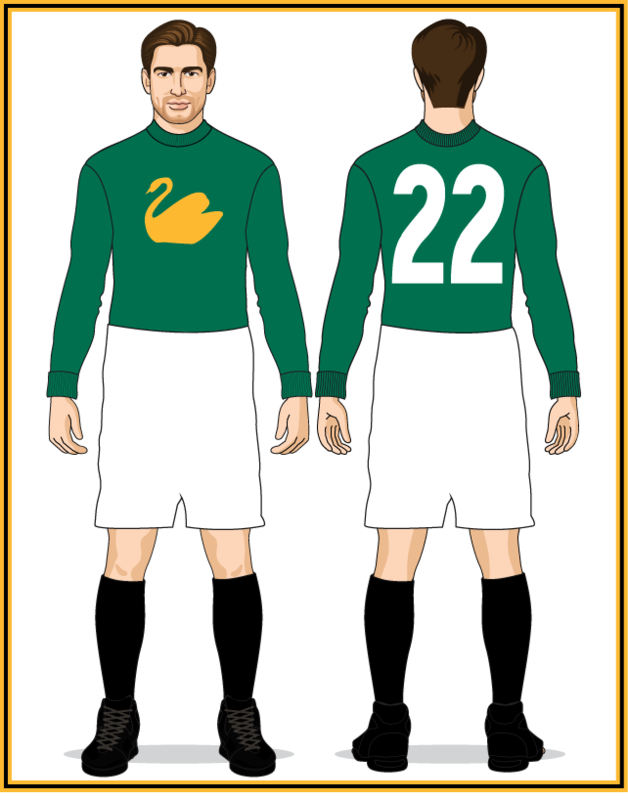 Later in 1911 the VFL adopted numbers during their finals series and by 1912 numbers had become a standard part of WAFL club and representative uniforms. The swan was changed to a noticeably larger design and the small numbers of 1911 were modified to an oversized version that were much easier for spectators to see. 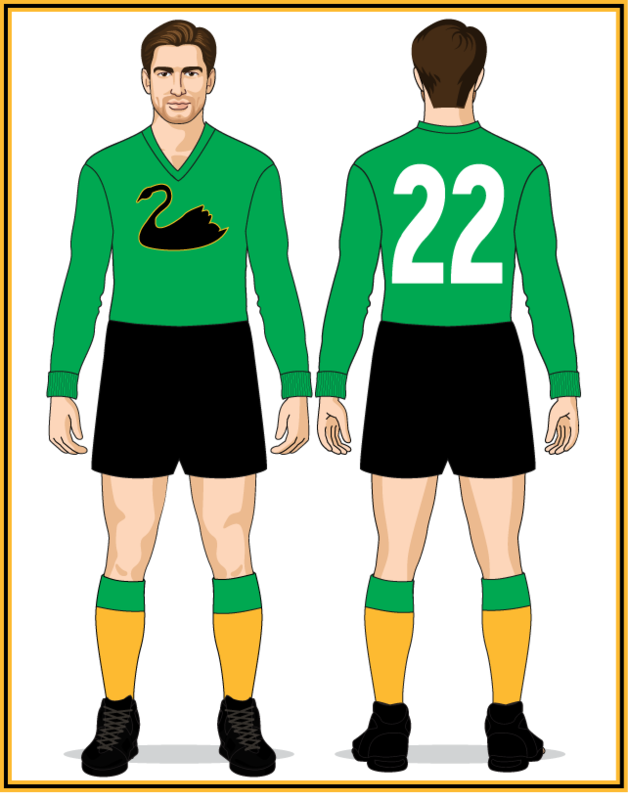 First worn in 1920 by the WAFL representative team that defeated the visiting Sturt Football Club, this was the first design to feature a more-detailed swan rather than the simple versions that had appeared on earlier State jumpers. The design made its final appearance in a defeat of South Australia in 1923 at Perth Oval. "Mr. Norton said that the guernseys for the State team could be improved. He had been in conversation with a designer on the matter and had asked him for a sketch of a black swan to take the place of the yellow swan which was used at present. 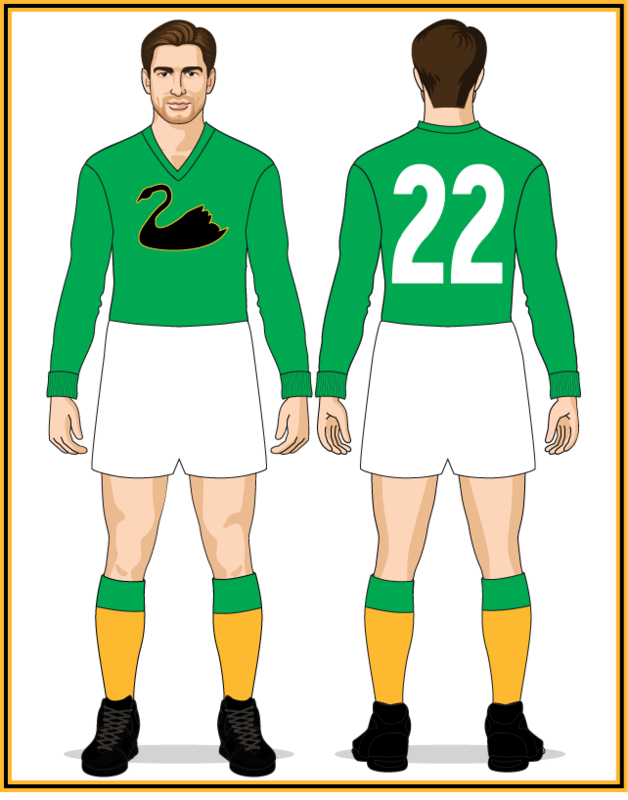 It was very difficult to get a good representation of a swan in wool, and the better plan would be for one to be cut out and attached to the guernsey. The new jumpers featured a noticeably lighter shade of green than previous versions and were the first in WA representative history to feature a v-neck. They also broke new ground by doing away with the sleeves. To this point in the game's history only lace-up jackets had been sleeveless, with all woollen jumpers being long-sleeved. However, in 1923 South Australia became the first State team to wear an officially sleeveless woollen jumper* and the 1924 Western Australian side followed suit. Two versions of the new WA jumper were released: long-sleeved, and sleeveless with gold trim at the shoulders (team photos from the Carnival show 12 of the 25 players in the squad wearing the short-sleeved version). Normal service quickly resumed and in 1925-26 the only WA jumpers issued were long-sleeved. The swan was redesigned for the 1927 National Carnival in Melbourne. The WA team also wore coloured knicks for the first time since their navy-blue pants of 1904. 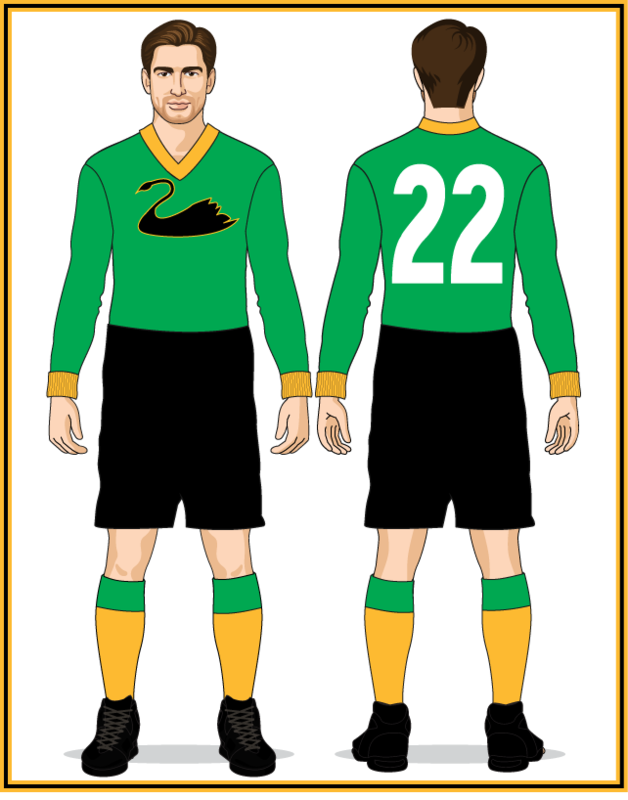 Black knicks were introduced for the carnival match against Tasmania then adopted for matches against Victoria (who traditionally wore white) in 1927, '29 and '30. Strangely, in 1928 the Western Australians wore white knicks against Victoria (who also took the field that day in white) and black against South Australia (who wore navy blue). 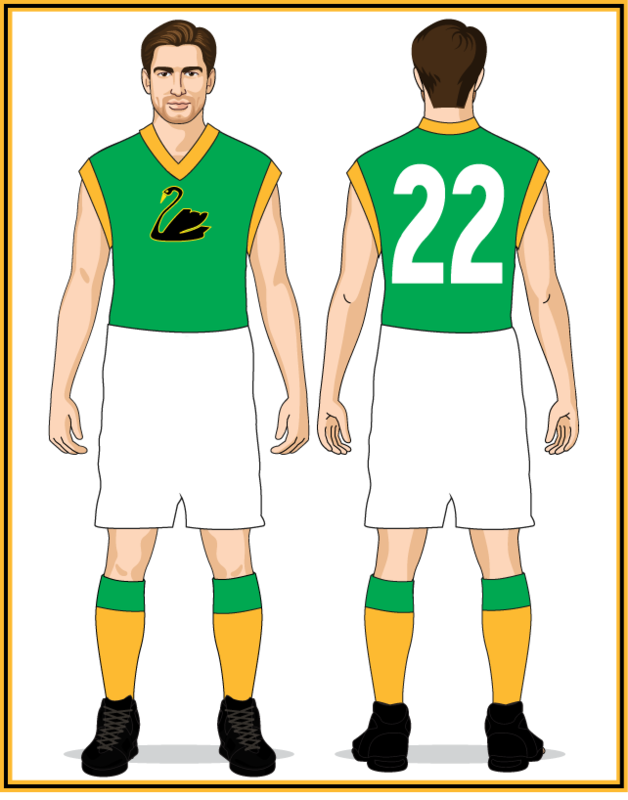 Western Australia returned to representative football after a two-year absence with a revamped jumper, their first all-green design since 1923. 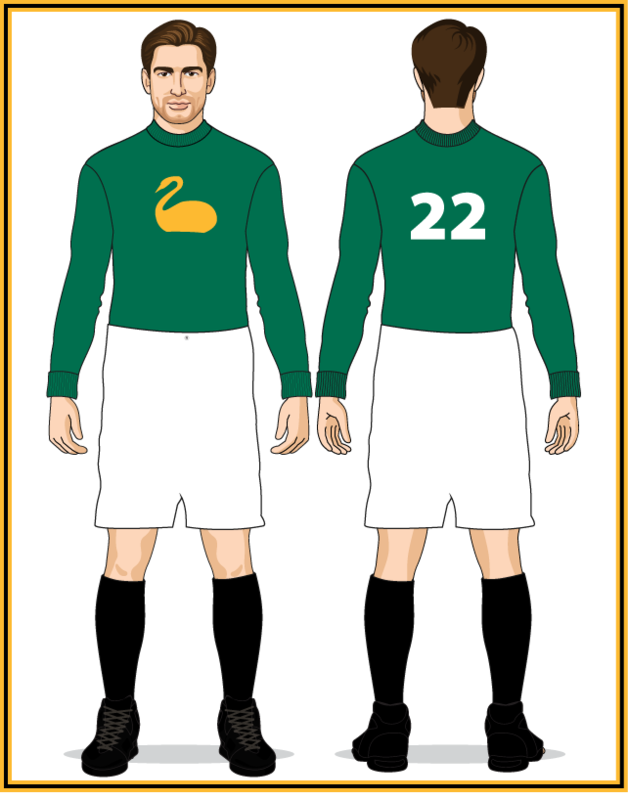 In addition to dropping the gold neck and cuffs, the v-neck was reduced to standard width and the swan was redesigned. This was also the first WA State uniform to feature shorts instead of the traditional pants/knicks worn at various lengths since 1904. The drab jumper of 1933 was brightened-up by the return of the gold neck and cuffs.